By virtue of the tremendous responsibility vested in them, politicians in a democratic nation like India are expected to be as much responsible for their speeches as for their actions. It is especially so concerning the speeches made by them before the elections because it is primarily on the strength of these speeches that they get elected. The pre-poll speeches made by politicians are generally in the nature of propagation of the policies and programs of their parties; the action plan contained in their party’s election manifesto and objective criticism of the rival parties. In reality, however, much of the time is spent by them, while electioneering, in unceremoniously castigating the rival parties and tarnishing the image of their candidates in a no-holds-barred attack, rather than on explaining their own party’s policies and programs or action plan for the next five years that are of crucial importance to the public. This is primarily because, an unscrupulous and unprincipled party in power very often misuses its position, power, and other resources by twisting the facts related to its own misrule and by fabricating false statistics about development and misleading announcements through the state machinery. Furthermore, it does not have any qualms about garnering vast sums of money from corporate houses and moneymaking enterprises that are at the mercy of the government for ensuring hassle-free operation of their activities. Besides, black marketeers, tax dodgers and anti-national elements who stash away hordes of black money in overseas tax havens, tend to take great pains to remain in the good books of the government by financing the costs of electioneering of the ruling party. Consequently, the ruling party ends up with having so much to hide from the public glare, apart from its own law-enforcing agencies. In a bid to divert the attention of the public, it hits out at the Opposition parties, which try to unearth the misdoings and misdemeanors of the ruling party. The electioneering then ends up as a slanging match between the two sides, with the electorate looking for a comparative analysis of the roadmaps of the two sides for evaluating the right party for their votes. Sometimes they are left high and dry. What is particularly distressing is the fact that many a politician refuses to enter into a meaningful debate with the rival candidate on how their party proposes to develop the nation and serve the people. Instead, they settle down to the easier option of flinging baseless charges of corruption, allegations of moral turpitude and accusations of lack of integrity on the part of their rivals. Their bravado and braggadocio, are neither thought-provoking nor are their speeches made with the welfare of the public in mind. They constitute mere gimmickry aimed at the gullible masses that tend to get carried away by the show of sound and fury instead of light and substance. Listening to the demagogue whose speeches are full of fire and brimstone but no substance, an impartial observer cannot help wondering as to why such spiteful behaviour comprising vile language and insidious but unsubstantiated charges against the rival candidate is allowed to go, more often than not, unnoticed by the law and a benign public with a mere smirk and oodles of philosophical detachment! Normally, such speeches can easily land the speaker in prison if it were not made on a public platform and involved two persons in their individual capacities. Matters have come to such a sorry pass in our country, not because of political immaturity on the part of the public but entirely on account of lack of accountability on the part of the rabble-rousers for making slanderous speeches. In the long run, an absence of accountability would most definitely derail democracy and lead to the emergence of an autocratic or totalitarian form of governance and eventually to dictatorship. Any person in a position of power could potentially be as fickle-minded as the man next to him and his decisions capricious if he is not answerable to higher authority or accountable for his actions. Who could wield more power in a democracy than politicians that get elected as people’s representatives and become lawmakers of the nation? As their decisions and follow-up actions in the service of the nation are supposed to be in the best interests of the people whom they represent and are intended to bring greater good to the greater number of people, it is absolutely necessary that they be accountable to the lawmaking bodies, namely legislatures, and through them, answerable to the people. This is precisely the reason why debates and discussions taking place in Parliament and State Legislative Assemblies are directly telecast for view by the public who have a right to know how a law is passed and convince themselves that a law is not unilaterally or whimsically passed by a single erring politician or a group of politicians with vested interests. The legislative bodies are the most powerful and sovereign organ of the democratic form of governance. Members of the legislative bodies are not answerable for their speeches and actions made on the floor of the House, either to the executive or the judiciary. Nor are they accountable to the Media, which spares no opportunity to ruthlessly address and criticize their decisions and actions. They are solely answerable to the people who have elected them. This enables them to fearlessly participate in debates and discussions on issues that impinge on the lives of the people and the course of progress of the nation. However, the voting public in India does not have the right to recall a legislator no matter how irresponsible or ineffective he is found. Bad policies and non-implementation of good policies can only be criticized by the people in the public fora like the Social Media, with the Mainstream Media (MSM) that has its own agenda, often failing to objectively report the mood swings and pulse of the people. Spontaneous protest marches and rallies held by the public to demonstrate their displeasure with the powers that be over matters of national interest often degenerate into unruly gatherings thanks to the agents provocateur of an unscrupulous ruling party and sometimes even by the machinations of some Opposition party or other with vested interests, aiming to bring discredit to the government. In the circumstances, only political parties are in a position to successfully organize and hold such events. Even then, protest marches and rallies if frequently held disrupt the smooth flow of business and cause tremendous inconvenience to the people. Moreover, such gatherings of crowds could become a convenient opportunity for anti-national or anti-social elements bent on sabotaging peace and tranquility and instilling in the minds of the people a fear psychosis. Protest marches and rallies held by members of the public or political parties should, therefore, be allowed by the authorities only in exceptional circumstances like when there is a tremendous and sudden spontaneous surge of emotions on the part of the people. Such events should be allowed only on the basis of a mandatory undertaking from the organizers that they would be personally responsible for the maintenance of law and order during the event. What is of still more importance is the putting in place of a badly-needed Right to Recall, which would allow the people of any constituency to recall their legislator under certain conditions like when he fails to fulfill out his pre-poll promises or has flagrantly misled the people into electing him. The Right to Freedom of Expression guaranteed by the Constitution is quite frequently misused by the motor mouths among the politicians. There have been many instances in the living memory when important leaders of some political outfits that are, in reality, nothing more than communal organizations, targeted certain sections and communities for launching virulent verbal attacks on communal lines; apart from making flagrantly provocative and venomous speeches against the targeted community and hurting their religious sentiments. Such politicians have even dared to challenge the authority of the law-enforcing agencies – all in the name of Right to Freedom of Expression! As of now, these politicos who are, in reality, nothing more than agent provocateurs of anti-national forces from across the border, merely have cases registered against them by the police for making inflammatory speeches and causing a potentially explosive situation between different communities. Peace-loving people of the community that come under the insidious and unwarranted verbal attack by a bunch of rabid communal elements given to fits of bigotry and attack of verbal diarrhea, easily become vexed with the mild nature of action initiated by the authorities. Such actions are restricted to mere registering of cases. Furthermore, disposal of such cases gets inordinately delayed because of the slow pace of progress of judicial action albeit due to genuine problems. A clear case of breach of the spirit of democracy is when a rabid speaker of a measly communal outfit attacks a numerically stronger community along communal lines. This not only hurts their religious sentiments but sometimes tend to remain out of the clutches of the Law! Such situations are fraught with danger of getting out of control and degenerating into avoidable communal conflagrations between communities living thus far in peace. It is sometimes observed that the law-enforcing agencies do not push the envelope beyond a limit by way of bringing the guilty to book, nor the erring politico is reined in by the leadership of his party. In fact, such politicos are allowed to roam around freely and make with impunity more and more hate speeches, every one of which is a shade more sinister than the previous one. Aside from the helplessness of the law enforcing agencies, and the growing sense of despondency on the part of the peace-loving people, some politicians belonging to the rival camp, who do not want to lag behind, retaliate by making counter attacks in the form of speeches. Though such reactions may be justified in the context of the provocative speech made earlier or may even be a kneejerk reaction by a few individual politicians, some mischievous elements project it as the official line and a sign of arrogance on the part of the party that tries to protect the interests of the community attacked. Sections of the Mainstream Media, given to sensationalism, often play up such instances and cause further rifts between communities. It would be too naive to expect the rabble rousers to be punished and trounced at the next round of polls by the peace-loving people. This is because such errant politicians usually contest from what are considered ‘safe constituencies,’ a misnomer for pocket boroughs of influential persons, where people of certain communities allow themselves to play into the hands of politicians of communal proclivity that encourage vote bank politics, and vote on communal lines. In such cases, gross misuse of the Right to Freedom of Expression should be made punishable under charges of sedition. Moreover, other punishments, including disqualification from contesting elections or making speeches in the public, should be meted out. Religious congregations and places of worship are often misused by the rabid clergy and communal political leaders for making hate speeches and provoking people into mounting physical assault and attacks against members of other communities. The persons in charge of such places should be asked to give a mandatory periodical undertaking that they will be personally responsible for maintaining and upholding the religious sanctity of the places and that they would not allow the premises for anti-national and insidious purposes on pain of exemplary punishment in the case of default. One of the first things that politicians do after coming to power is to take advantage of the short span of the voting people’s collective memory and let their party’s election manifesto die a natural death by completely ignoring it. They settle down to a comfortable life of reacting to day-to-day situations, problems, and crises. The Opposition parties, on their part, get to the busy mode of shoring up the way of the government, any number of day-to-day situations, problems, and crises. Besides, much of the time of the government is spent in exposing more and more scams and corruptions involving the previous government. The Opposition parties are too hard put to defend themselves from the government’s allegations and accusations to get down to the real work of pricking the government’s conscience on delivering on its pre-poll promises. Such a paradoxical situation leads to the roadmap and action plan for the ruling party becoming more and more irrelevant and infructuous with the passage of time. The people, on their part, are too preoccupied with the availability or non-availability of the essential commodities, cost of living, rate of inflation and continuous dents and knocks to their quality of life in general, to be bothered about the glories or disgrace of the government or its lambasting by a peevish Opposition trying to justify its existence with shifting stances on eminently forgettable issues like Communalism and Secularism vis-a-vis crucial issues of development and inclusive growth of the nation. 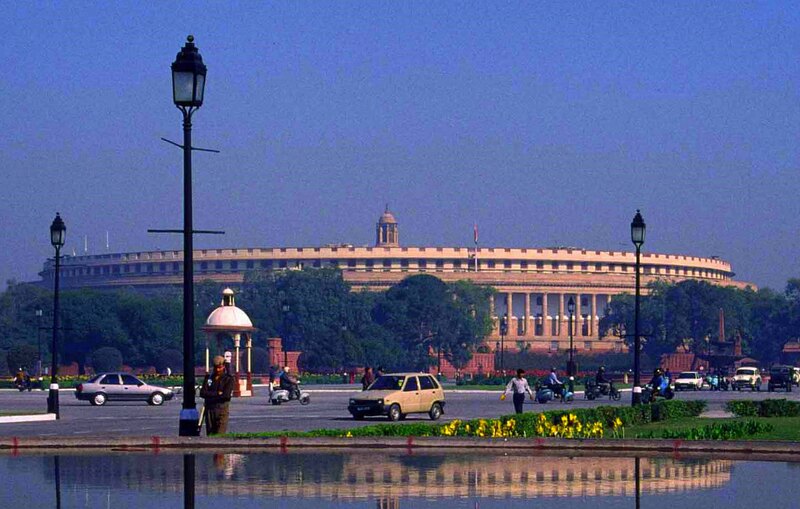 In the circumstances, it would be in the fitness of things to create an autonomous rating agency as a part of the legislative bodies both at the Central and State levels to monitor not only the performance of the political parties in terms of their election manifesto but also that of their elected representatives in terms of their attendance and participation in the activities of the legislatures. There should be a constant and continuous updating of the ratings, which should be accessible to the public desirous of knowing about the output of their representatives and their parties. Such a course of action would not only be reflective of the performance of the politicians but also make them truly accountable to the people of the nation. Very true. There cannot be any democracy in the world where politicians promise so much before elections and after 5 years in service the situation remains as it was earlier. Roads dams and electricity have just remained promises. Why don’t you ask Modi to expel MPs who have cases against them in courts? Before becoming PM he said that such people will be expelled within one year of government formation. All parties are same and BJP is also becoming one of them. Till the time the elected government and opposition learn how to work together there will be no change in our position. Personal and political attacks have resulted only in more poverty and mis-governance. The rule should be that parties which do not fulfill poll promises should be disqualified in next elections. Other people should be given chance. This will also rid us of repitition and politicians will no longer feel that they are immune. When you talk about meaningful debate we can recall debates in US presidential elections. Indian debates are only for communal purposes nothing else. Here candidates have no agenda and plan of action to combat poverty and other issues. The problem is that in our country all government departments and the government itself feel so secured that they start considering themselves superior to general public. This is why banks and other offices are so inefficient. Right to recall should be included in Indian political and governance set up. Why should a person enjoy on people’s money if he is not able to deliver what he was elected for. Such people should be thrown out of their office so that others learn a lesson. Hate speeches are part of polls in the country and election commission has not done anything to control this. Election commission should be given more powers to stop communal backed speeches during elections and such candidates should be barred from contesting. It is not that legislators are most powerful organs, it is just that we allow them to think so. Havent you seen when people protest in groups governments change their decisions. The fact is that Indians are not united against idle law makers. Even the manifesto remains unknown to parties which publish them. I want to ask Congress why Indians still have to sleep hungary when they promised Greebi Hatao in their manifestos. Corruption is the basis of all problems. Good analysis and objective article. Thanks for the nice write-up. I have a bit different idea to this situation. Please do not think that I am always trying to be over smart. But I have been thinking on this since my childhood and have come to certain conclusions. My cousin brothers are board ranker and they had also affected my thought-process in some extent. One of my cousin brother went to Europe and found that when 3 Europeans meet they come out with some fantastic collaboration or innovation. On the other hand when people in my society meet for a monthly meeting they always try to oppose new thing without even listening to the idea. When educated people are asked what do you expect from your organisation, many of them say they want tea/coffee on their table, more leaves, music on floor, promotions and so on but none of them ask for any responsibility. This behavior is reflected in our political system too. When we talk of speeches, I have seen that Indians love macho speeches and many communities are known to start their conversation with hard-core slang. My boss had even told me that I am soft-spoken and cannot handle rowdy people. So I think Indian society needs renaissance to expect our leaders to be gentlemen. Woah. I am reallly enjoying the template of this website. it is simple, yet effective. A lot of times it is tough to get that perfect balance between usability and appearance. I must say you have done an amazing job with this. In addition, the blog loads extremely fast for me on Chrome. Outstanding Blog. I am amazed, I must say. Rarely do I come across a blog that is botth equally educative and amusing, and without a doubt, you have hit the nail on the head. The problem is something which not enough folks ??? speaking intelligently about. I am very happy that I stumbled across this during my search for somethning relating to this.